Posts tagged " housework "
I’ve been married for 9 years to a pretty great guy. We have two boys and a girl, also a dog. I have a full time job and I also take care of most of the inside-the-house chores and organize all the activities for the kids and family. My husband and I have had several discussions and sometimes arguments about sharing the household workload. We make new agreements about duties that my husband can take on, but within a week these agreements have fizzled out. When I ask him to take on tasks with our children, such as bedtime or supervising homework, it generally devolves into screaming matches between him and the kids. My resentment is starting to affect my sexual desire for him. I feel less like he’s my partner and more like he’s another child. I go all day from the time I wake up at 5:45 a.m. until I collapse into bed at 10 p.m.
Is this simply the reality of being a working mother? Do I have to abandon my dreams of sharing the child care and household duties? Do I accept that my husband is doing his best and perhaps is limited by his parenting and organizational skills? Do I swallow my anger, do I fight for more or do I just walk away? We got lost between the, “I’ve been married for 9 years to a pretty great guy,” and the rest of your letter. If, as you say, your husband is a great guy, something is off-kilter. Exhaustion, resentment and anger are pretty awful things to drag around in a marriage so we do think this is urgent to deal with. It isn’t surprising that with so much negativity, the sexual and companionship side of your marriage is suffering. If we told 1000 people that we received a letter that began with “I’ve been married for nine years to a pretty great guy” and concluded with “Do I swallow my anger, do I fight for more or do I just walk away?” we doubt that even one would guess the content of the intervening eleven sentences. Here’s how we would have expected that question to read: Do I have to abandon my dreams of a tranquil and loving home in which my husband and I work together to build a joyous family? In other words, is your concern that those things get done or that it has to be your husband doing them? We have ten more questions to ask. Some of them may hit home and be useful while others may be way off the mark. Is your husband limited by poor parenting and organizational skills? Do the two of you agree on the answer to question #1? If you both agree that your husband doesn’t know how to help the children with homework or put them to bed, then there is no point in making an agreement for him to do so. There are lots of books, videos and workshops that provide practical advice for working with children. Rather than ask him to do something at which he feels incompetent, we would suggest working through a program together and deciding on techniques that you can both apply. We think it possible, however, that your husband doesn’t deal with the children the way you think he should and that you criticize him when he does help out. Do the children know that if they make a fuss, you will step in and take over? While screaming at kids is notoriously ineffective and setting a bad example to boot, is there anything in your behavior that sets up an antagonistic relationship between your husband and the kids? Does he disapprove of some of your methods? For example, if you allow the kids to have screen time before bed and he is opposed to that, the two of you need to get on the same page before you can take turns at bedtime. 3) Are you on the same page in terms of your work? Are you bringing in income that you both agree is needed? Would your husband prefer you work fewer hours but were able to deal with the home front with less exhaustion and more patience? Would you prefer that? 4) Do your jobs contribute financially equally or does one job bring in substantially more than the other? Does your economic plan need a shake-up? 5) Have you discussed the idea of hiring household help? Is your need truly for help or, as we queried above, are you more focused on the idea that specifically your husband must help? 6) Is your husband working long hours or doing other things that benefit the family or is he on the couch channel surfing while you are taking care of the kids and home? The answer to this question is terribly important. 7) Why are you working from 5:45 a.m. until 10 p.m. at night? Do you and your husband agree on what it takes to run the home? Is one of you insisting on home-cooked meals and a spotless house while the other would be fine with getting a pizza once a week and using disposable dishes? 9) Have you taken a moment to think of any things that you automatically expect your husband to do. This might include bill paying, lawn work, taking out the garbage, picking up the dry cleaning, driving the kids to sports or lots of other items. Is it at all possible that that you take for granted some of that which he reliably does do? 10) Are you possibly being influenced by friends’ posting on social media, by harmful articles in magazines or by other input that leads you to count your grievances rather than your blessings? Perhaps it is time to review the social contacts that shape each of your lives as individuals as well as a couple. It sounds to us like the two of you skipped a stage of sitting down and sharing a vision of what your home should look like. What worked in the early years of marriage and certainly before children doesn’t keep working as life happens. Before tackling the nitty-gritty of how and what each of you should be doing, we feel that you would benefit immensely from a rejuvenating weekend away at a marriage seminar which will facilitate communication between you. It will also provide enjoyable time together that you seem to badly need. It’s possible that one or both of your views of marriage have substantially changed during the past decade. If things you agreed upon when you got married are no longer part of your marriage road map, considerable conversation is necessary. We’d throw out all three of your suggested choices—swallowing anger, fighting for more or walking away. None of them sounds like someone who appreciates the great guy she’s been married to for nine years. Swallowing anger doesn’t work. Fighting for more? Fighting? Really? This is a marriage not an adversarial corporate merger. Fighting will only intensify the antagonism. And finally, your “Do I just walk away?” From whom? That great guy you’ve been married to for nine years? In order to get the extra time and tranquility that divorced single moms are so envied for? We would recommend reminding yourself of your husband’s great qualities, analyzing your own strengths and weaknesses and finding a way to remind both of you that you are on the same team. Make the effort to improve what you have with this pretty great guy and see it as your priority. Finally, you ask if you must accept your husband’s limitations. We don’t doubt that like all human beings he has his limitations. But we advise you, in the quiet of nighttime solitude, to look deeply into your own limitations and the efforts you might make to transcend them. You and your husband can certainly both grow and learn to function better as a team. But thinking of changing anyone is usually unproductive. You’d be amazed, though, at how changing yourself will lead others to change themselves too. Establishing a loving marriage and providing a loving home for children is a battle worth fighting. We look forward to hearing that soon you both feel enormous gratitude for the gift of your spouse. and is on the move in the rest of the world ? 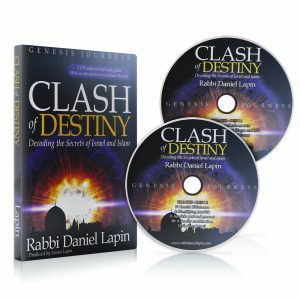 You’ll be amazed at what jumps out of Biblical verses through the lens of ancient Jewish wisdom.